Color Label Solutions exhibited at WestPack (http://westpack.packagingdigest.com/) in Anaheim from February 7th to 9th again this year. The CYMK printer is the perfect income producer for printers and manufacturers who want to print thick paper and other inkjet-coated items. The CYMK printer and feeder ushers in a new age of on-demand printing, enabling many more personalized items at a much lower cost and labor requirement. In addition to the new 8” version, we’ll release a new RIP (raster image process) for the CYMK printer next month. This new RIP will enable better, higher resolution printing with more image and color control. Look for more information shortly. This new applicator launches next month once the Interface devices receives approval. 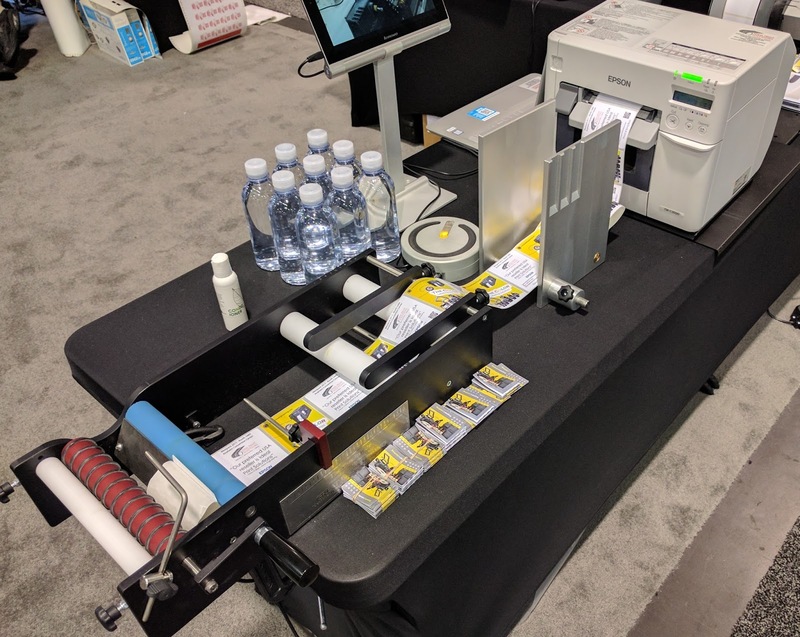 At approximately $10,000, the BenchMax is the most affordable round container applicator available that is integrated with the C7500 and the C3500 label printers. 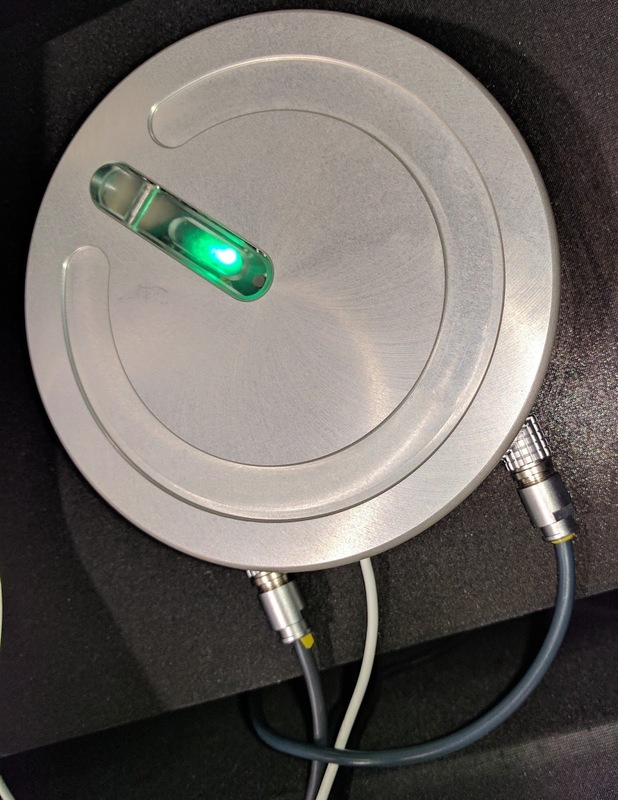 This unit is perfect for chemical, food, beverage or other manufacturers with round containers that want to apply labels more productively and accurately; in the same position every time. In addition, I learned that the BenchMax could be configured with a Thermal Transfer printer to apply over-laminate on labels produced by the C7500. With this system, you can use much less expensive materials; and then apply over-laminates to add durability and a glossy look. It’s an elegant solution to a common requirement. 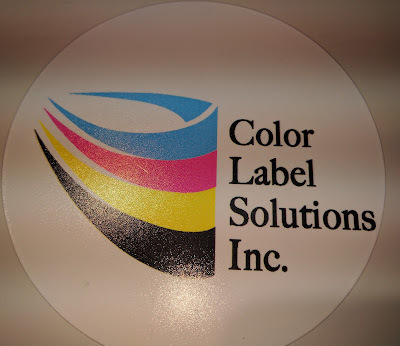 Finally, I saw the Swiftcolor 4” color label and tag printer print and cut great looking tags on-demand. 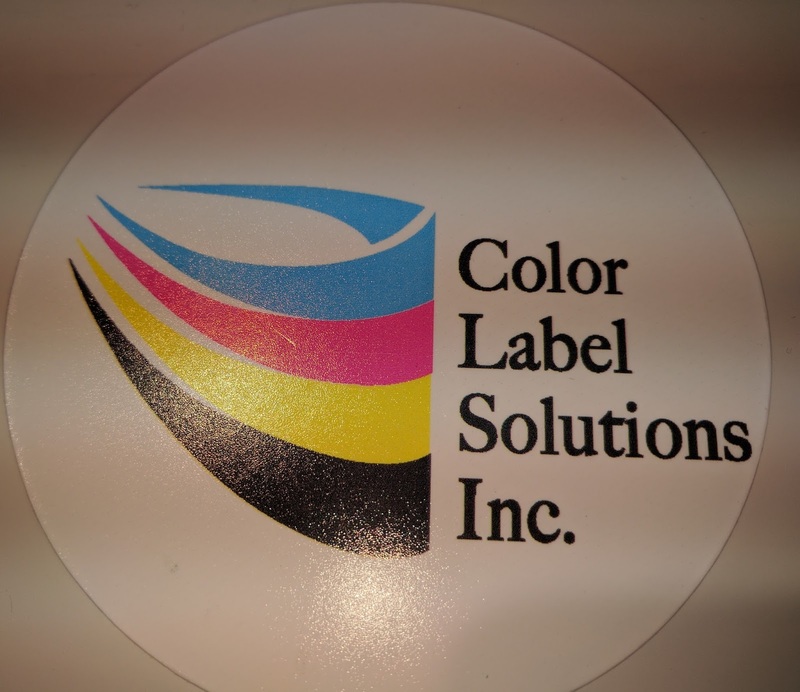 The Swiftcolor printer is perfect for apparel manufactures who need to print tags and care labels on-demand and in-color. 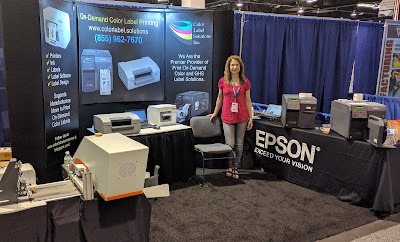 I’m very excited by the prospects of the new 8” CYMK printer with the Fixed Feeder, the BenchMax integrated with the C7500 color label printer and the Swiftcolor printer for apparel tags. If you are a printer, the CYMK printer and Feeder are the prefect addition to your production assets. If you use round containers and want to print color labels on demand, the BenchMax applicator is a great new option for you. And if you are an apparel manufacture, the Swiftcolor printer offers a new capability to produce great looking tags on-demand and in color. Contact us to learn more about these valuable new machines.